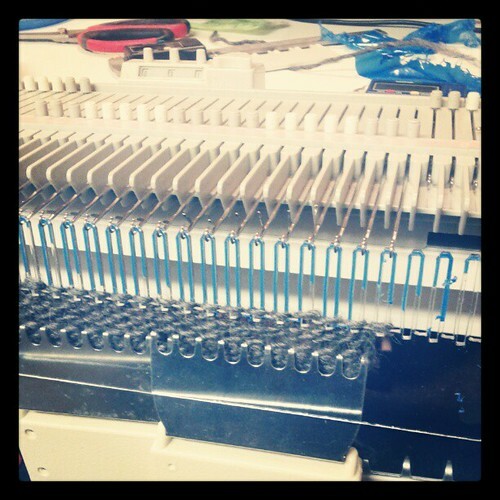 Do you think knitting machines are just about the coolest thing ever? Want to make a really nice sweater faster than you can watch the new season of Arrested Development? So do we, which is why we are offering an introductory workshop on Machine Knitting on Tuesday, June 18, from 7 PM until 10 PM. At the end of this workshop you will be confident you can start and end a knitted piece, know how to use the main bed and the ribber, and be able to identify and use all the tools. This workshop is required before you can buy time on the knitting machines. The workshop fee ($50) includes a booklet with descriptions of all the tools and instructions for the basic operations you need to use the machines. To sign up, give us a call at 206 357 9406 or come down to our shop. Space is limited so register early!